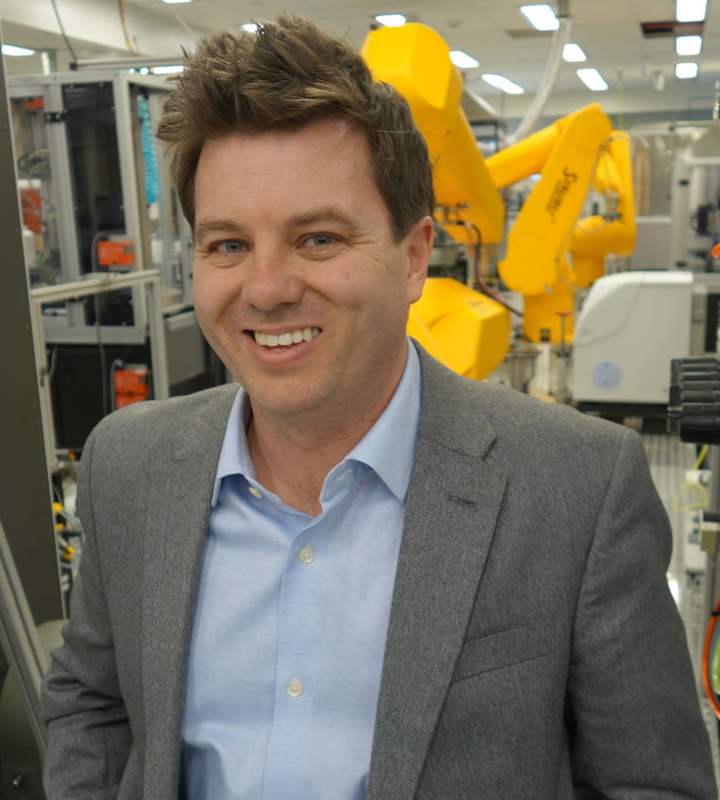 Matthew Hall joined NCATS in 2015 as a biology group leader in the NCATS Chemical Genomics Center within the Division of Pre-Clinical Innovation. Hall leads a team of research biologists (i.e., the Guanine Team) who develop and optimize both biochemical and cell-based assays for automated, small molecule, high-throughput screening in collaboration with NIH intramural and extramural partners, including several National Cancer Institute (NCI) Chemical Biology Consortium programs. His research portfolio has an emphasis on oncology but covers a diverse range of other human pathologies and diseases. Prior to joining NCATS, Hall was awarded an American Australian Association Sir Keith Murdoch Fellowship and worked under Valeria Culotta, Ph.D., at Johns Hopkins Bloomberg School of Public Health. At Hopkins, Hall used yeast genetics and molecular biology to investigate the cellular regulation of transition metals such as manganese. He then moved to the NCI Laboratory of Cell Biology under Michael M. Gottesman, M.D., bringing together his chemical and genetic experience to work on the clinically challenging phenomenon of cancer multidrug resistance. Hall ultimately became a staff scientist and led a number of collaborative research programs that included developing imaging probes for drug transporters at the blood-brain barrier, understanding mechanisms of resistance to cisplatin, and understanding the phenomenon of collateral sensitivity in multidrug-resistant cancer cells. Hall earned his undergraduate degree (with first class honors) at the University of Sydney, investigating methods for modifying and targeting matrix metalloproteinase inhibitors during an honors research year. Hall also completed his Ph.D. at the University of Sydney under Trevor Hambley, Ph.D. His graduate research brought together cell biology and synchrotron spectroscopy for the first time, to observe in real time the cellular distribution and metabolism of the platinums, the world’s most-used class of chemotherapeutic agents. Hall also developed valuable techniques for observing drug reactivity in cell systems. His doctoral work included six months in the Nuffield Division of Clinical Laboratory Sciences at Oxford University, where he developed 3-D tumor models. He has published more than 70 peer-reviewed papers and is on the editorial board of Drugs of the Future. Hall and his team are currently identifying therapeutic avenues for rare and drug-resistant cancers, devising adjuvant strategies for platinum-based chemotherapies and developing assays for understanding blood plasma drug metabolism. He and the team are also developing assays for in vivo and ex vivo small-molecule target engagement, exploring the role of glutathione peroxidase in cancer, and examining drug interactions with the blood-brain barrier that limit central nervous system penetrance. Evaluation of fluorophore-tethered platinum complexes to monitor the fate of cisplatin analogs. The Inhibitor Ko143 Is Not Specific for ABCG2. Cisplatin sensitivity mediated by WEE1 and CHK1 is mediated by miR-155 and the miR-15 family.